There is always something to say about Balayage Hair Colors. This trend has gone viral. 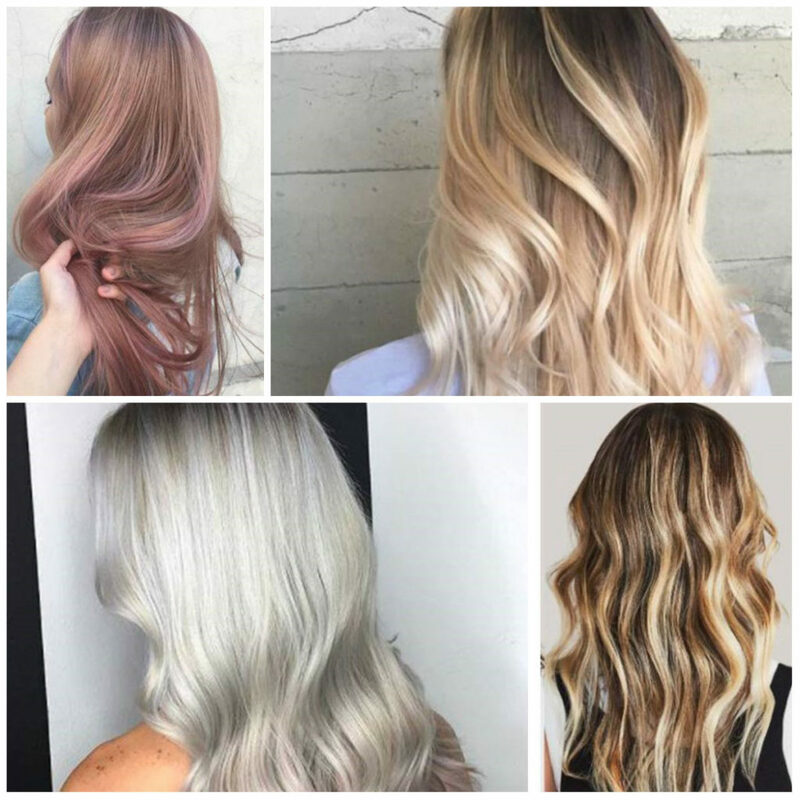 Popular hair colorists provide their clients with the most outstanding Balayage Hair Colors designs. The advantage of rocking balayage is that it blends colors seamlessly creating a natural looking effect. Luckily this trend is for everyone regardless of hair length, texture, skin tone and eye color. You have countless options to choose from. Below we have put together Balayage Hair Colors that are still huge. Let’s hope that you will get a right dose of inspiration from these pictures. Indeed, pearl balayage hair color is cool and fresh. The color reminds of those peals in the depth of ocean. Like in many hair color designs, here also the dapper root melts into lighter, pearly tips. When it comes to highlights, they are done in two different shade, lighter and darker. They reflect lots of light. This rich hair color will never let you go wrong. So try it for yourself if you want something different. 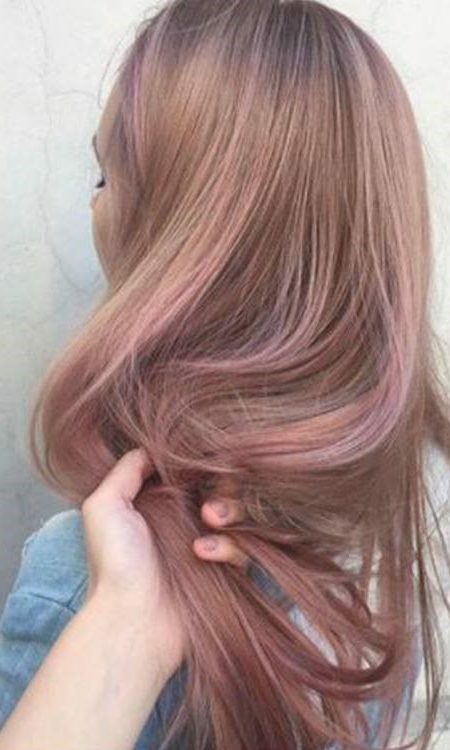 Pink highlights have been seen throughout blonde hair over several seasons. Indeed, when you have blonde hair, it is pretty easy to achieve pink. 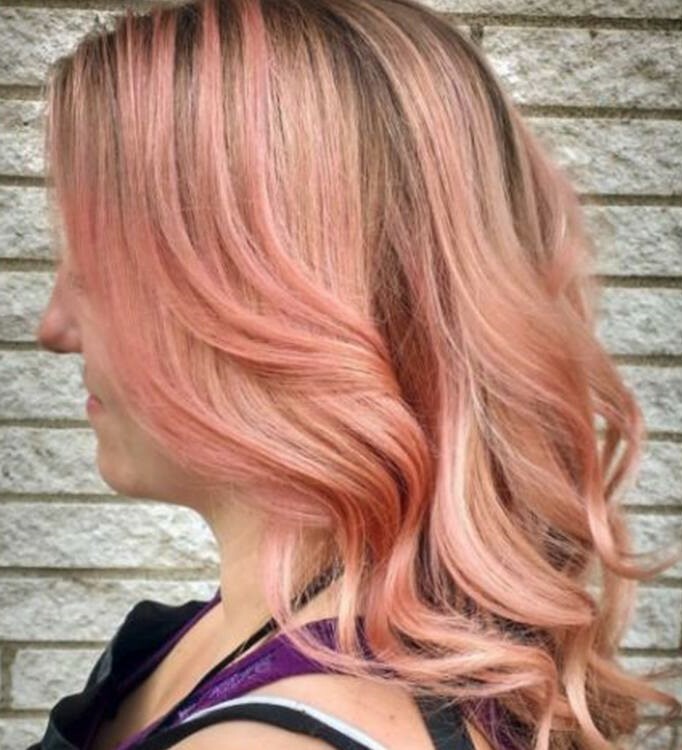 In the following design, large pink highlights have been combined with finer hair highlights. It is the trendiest color combo for bold ladies. If you are into vivid shades, then it is something you need to give a try. Get the color and spin many heads out there.